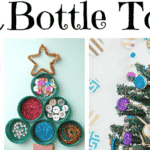 Welcome back to another series of crafts – today we share our Bottle Top Craft Ideas – ideas from British crafty bloggers to suit a variety of age groups all using bottle tops – plastic ones or metals ones. We come together on Google+ for a crafty “hangout” – a bit like a skype or video conference with 7 people! 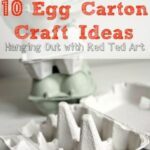 Read our Pipecleaner Crafts post for more information about hangouts. 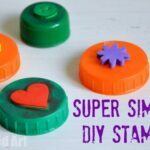 1) First we had the very “classic” and super quick an easy “Bottle Top Stamp” craft – a very popular craft for kids, as it is so easy to do, the resulting stamps can be used in so many ways. 2) Next we have Playful Learners sharing her super sweet little Easter pictures – bunnies and chicks. Perfect for the upcoming Easter season. But of course you can do any collages you feel like! 4) Next up we have the wonderful Zing Zing Tree… oh yes, be prepared as she shares the delightful and original flower crafts – I think they looks imply FANTASTIC. 6) Rainy Day Mum shares her super sweet Owl – let’s not forget that bottle tops are ideal shapes for eyes, especially big owl eyes! 7) Fairy Frog shares a fun game from Spain Marbles – call Chapas. How fantastic. 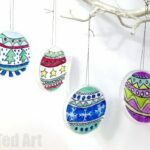 I have never seen these before and I ADORE traditional crafts of any kind. We will definitely give these a go. 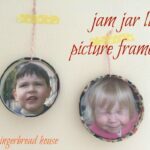 8) Finally Knitty Mummy shares her resin picture frames. 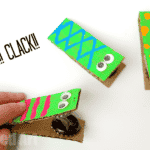 Super fun and stylish and I **know** we will be making some of these FOR SURE. Great idea. 9) Back to me again I share another classic bottle top craft : bugs, bunnies and of course aliens and monsters. 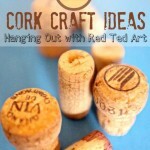 We did these in a quick impromptu afternoon craft session. 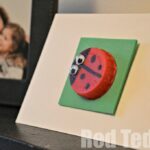 The kids like playing with them as they are, but of course, you can convert them into brooches, fridge magnets or Greeting cards. 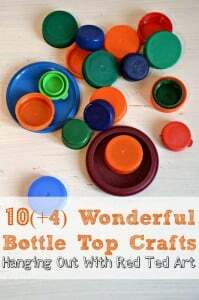 10) Bottle Tops of course also make great robot buttons, mainy moons ago we used a good number of them to make our junk robots. That sure takes me back! Awe so pleased you like the ideas! Gutted I missed this one.